Euroa microgrid: community solar to avoid summer blackouts. The Euroa Environment Group is leading a $6 million grassroots project which will see 589 kW of new solar panels and up to 400 kW of energy storage installed to create a local Euroa microgrid. This will help avoid the summer blackouts which have plagued the small north-east Victoria city in recent years. The EEG (Euroa Environment Group) is a local collective formed to help the issue of constant blackouts in the small city. They’ve now got a huge $6m project which will see the EEG partner with Mondo Power, Globird Energy, and 14 local businesses in Euroa who will install the technology, creating a microgrid in the city which means the town will have greater electricity supply reliability, and will also reduce local demand for electricity during peak times. The Andrews Labor Government has also given a $600,000 solar grant towards the project, which is currently underway. “We believe that unfortunately we’re not getting good leadership from our Federal politicians, and I believe it’s up to grassroots organisations to drive the renewables charge,” she said. “Everyone is becoming more educated around the opportunities and the options for reducing reliance on coal,” Ms Symes said. We’ll keep you updated with any news from this microgrid and how it helps Euroa traverse the 18/19 summer. Vales Point Solar Energy Project greenlit. Kalbarri microgrid: Carnegie to build. Microgrid in NYC using blockchain technology launched. Green Power Exchange (GPX) is a startup which is hoping to create a global platform for peer-to-peer renewable energy trading – with the goal of making renewable energy trading simple and convenient – resulting in a lower price because the energy is being sent directly from producer to consumer, cutting out the usual middlemen. GPX’s solution is to eliminate intermediaries and launch a simple, easy to use peer-to-peer platform to buy and sell renewable energy. The local distributor will still need to be paid for line rental, but apart from that this eschews the traditional energy supply chain which consists of 1) Generation, 2) Transmission, 3) Distribution and 4) Retail. Obviously all steps in the supply chain result in a higher cost per kilowatt so it’s great to see some options where someone can buy directly from the producer. Crypto Reporting have done some research about Green Power Exchange, how it works, and how much you could save – offering up the example of a producer usually receiving $0.06 USD / kWh from a wholesaler or retailer while the end user is still paying around $0.20 USD / kWh. This is over 300% more than the producer receives – and as the energy goes from transmission to distribution to retail everybody adds on a clip. Not very efficient, and since the producer and end buyer are artificially separated like this, it’s difficult for them to meet and reach an agreement on a price. Enter GPX! With direct trading, a cost per kWh could be $.1 USD which benefits both parties (the customer would still have to pay line rental to the local distributor which would be around $0.02). In this case the producer receives $.1 USD instead of $0.06 and the customer pays $0.12 instead of $0.20 per kWh. 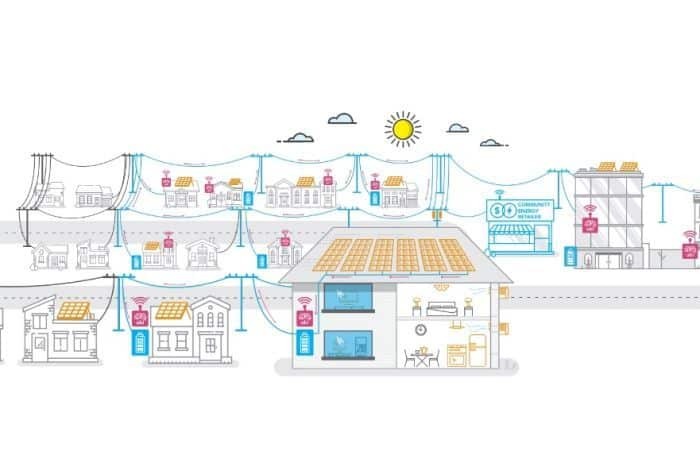 For GPX to work, you’ll need a smart meter which will be checked and then energy distributed through smart purchase power agreements posted on the blockchain. Given that PPAs will have to differ depending on the jurisdiction, Green Power have set up standard templates for everywhere the platform operates. There’s also the option to upload your own PPA which will then be vetted by the team to ensure it conforms with their standards. The Pre-ICO for Accredited Investors starts in 98 days as of 05.06.2018, so now’s a great time to start researching the company if it looks interesting to you. Are you thinking about investing in Green Power Exchange? Have you got any thoughts on this sort of model for the electricity market? Please let us know in the comments! WePower ICO – Fintech solution for green energy. 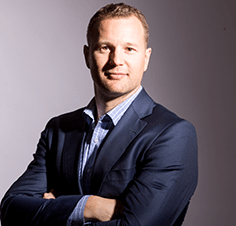 Carnegie Clean Energy, a clean energy company based in Perth, have raised $5.3 million for improvements and investments in its solar, battery, and wave energy businesses. 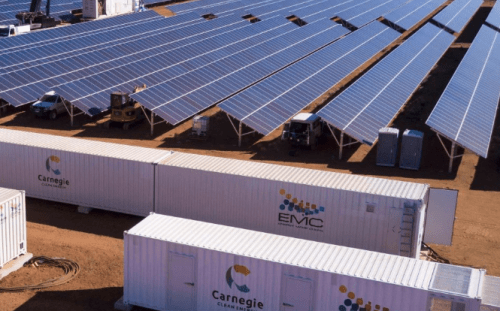 The raised funds will be invested into working capital so Carnegie is able to complete its existing projects which include wave, solar, and battery storage microgrid projects. The extra money will ‘further develop its contract and project pipelines, and to further expand the business’, according to RenewEconomy. “We thank our shareholders for their support in the capital raise,” he said. A 2MW, 500kWh Battery Energy Storage System (BESS) at the General Motors Holden site in Elizabeth, South Australia. A 10MW ‘battery ready’ solar farm in Northam. The company was founded in 1987 as Carnegie Wave Energy but has since expanded and renamed itself after purchasing solar and battery microgrid developer Energy Made Clean. Click here to visit the Carnegie website. Keep an eye on CCE on the ASX! Current price is at $0.032 as per InvestSmart. Blockchain tech provider Power Ledger in Puerto Rico – the Australian company are looking to help the struggling Caribbean island with its ongoing energy woes by implementing their technology into microgrid resources. We posted about Tesla’s input last October when they had a look at a microgrid in Puerto Rico – apart from the initial six, we haven’t seen many more of the Tesla Powerpacks installed – although hundreds of Powerwalls were also sent to help. Since PREPA (Puerto Rico Electric Power Authority) has a $9 billion USD in debt to Wall Street it’s a difficult situation for PR. “The next hurricane season is but three weeks away and the grid is not reliable — that is part of the urgency,” said Disparte. Power Ledger are working with factories and regulators to help companies on the island buy solar panels and battery storage. They’ll then use the blockchain technology to allow companies to trade energy with each other, and to sell supplies to employees or the community. This exchange will be able to take the forms of non-traditional (or, depending on which way you look at it, very traditional) exchange – for example you’ll be able to buy power via cash, cryptocurrency (e.g. Bitcoin or Ethereum) or even labour. Puerto Rico Electric Power Authority CEO Walter Higgins said in an interview last week that it will be another couple of months until they finish restoring electricity to the remaining 25,678 customers still in the dark following the storms ~8 months ago. So obviously they need to start looking at measures that will help them next time there’s a problem. Disparte said this isn’t going to be about “just building back the old grid waiting for the next crisis and the next wave of financial constraints.” They’re trying to completely change the way Puerto Rico can address issues like this in the future and this is an inspiring real-world usage of this technology. Power Ledger’s investors will be able to make investments in Puerto Rico energy assets later this year using their POWR tokens. If you want to learn more about it please click here to view our article on Power Ledger. 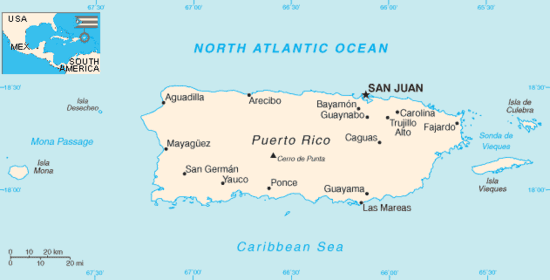 Microgrid in Puerto Rico? Tesla Steps In. Bruny Island solar trial – the tiny island off Tasmania is the site of a new smart solar and battery trial which may be helping shape Australia’s energy future. The combination of solar and battery installations work in conjunction to remove Bruny Island’s traditional reliance on diesel generators. The trial was done with Australian National University’s battery storage and grid integration program who worked with 40 households (around 3.5% of the amount of homes on Bruny Island) on the island to create a ‘microcosm of a future Australian electricity grid’. This was done by using the Network Aware Coordination (NAC) platform. The NAC consists of a series of ‘smart’ algorithms which can decide how to manage solar+storage (i.e. when to feed back into the grid or charge the battery based on myriad factors such as weather, usage patterns, and what other households’ energy draw/storage is). 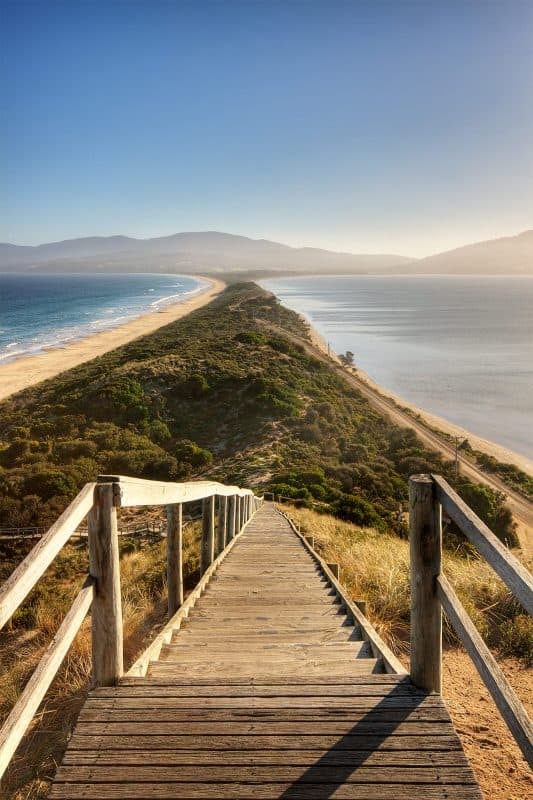 The Bruny Island solar trial wasn’t about fully replacing the diesel generators, but more about supplementing their usage and minimising reliance on diesel during peak times such as summer or a heatwave. “In the same way that traffic lights coordinate the flow of cars and trucks on the road, the Network-Aware Coordination platform coordinates the flow of energy from residential solar and batteries to networks and markets to ensure the efficient and reliable operation of the electricity grid,” the ANU said. “The trial of the NAC is about better understanding how to use solar and battery to make the grid more efficient,” Mr. Blackhall was quoted in the Canberra Times. “During Easter, Bruny Island actually required more power than could be supplied by the undersea cable to the island. The great results bode well for the future in Australia and also for people wanting to create a microgrid – the software and learnings headed up by the NAC will help ensure the whole grid remains healthy, rather than the more ‘selfish’ policies which we’ve seen other systems use. Looking at the grid as a whole rather than a household means we have a lot more control to share power as evenly as possible and try to minimise reliance on diesel. Even though it was a small trial it could scale up quickly without too much effort so the good result of the trial is very heartening. It’ll be interesting to see which size ‘microgrid’ they try and integrate NAC to next!